Located in Northbridge, Rockface is open 7 days a week and welcomes rock climbers and non-climbers of all walks of life. Indoor rock climbing is a fun, exciting, safe and an all-over body workout. No experience required. Rockclimbing is a safe, fun, all-over body workout for ages 5 to 85! With our climbs changing every month, there are always new challenges to keep you interested. Rockface is located at the western end of Northbridge, just off the freeway exit and only a few minutes walk to the restaurant strip. Technique Training: We teach you the tricks of the pros that will allow you to succeed on harder climbs with less effort. 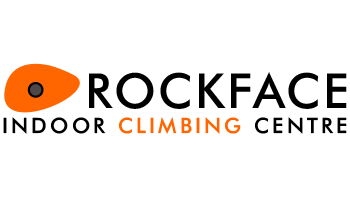 Indoor Lead Climbing: People who make this their sport of choice usually advance to lead climbing, but it is imperative to learn the safety skills and correct use of equipment to enjoy this advanced climbing. Rockface employs "slow-go" pulleys at the top of every climb to ensure climbers can not be lowered at a dangerous speed. All these pulleys are backed-up with redundant slings. We only use internationally recognised dynamic climbing rope on all our routes. Climbers must attach to the rope with two safety points for extra security. We use auto-locking delay devices so climbers cannot be dropped through the inattentiveness of their climbing partner. We have height adjustable ground anchors so belayers won't be lifted or pulled off balance. The floors under our walls are covered with 120mm professional gymnastic landing mats. Rockface does require a parent/guardian signature on our waiver form for climbers under 18 years of age, so please come in with them if it is their first visit.